Here is the fresh list that we prepared for you. 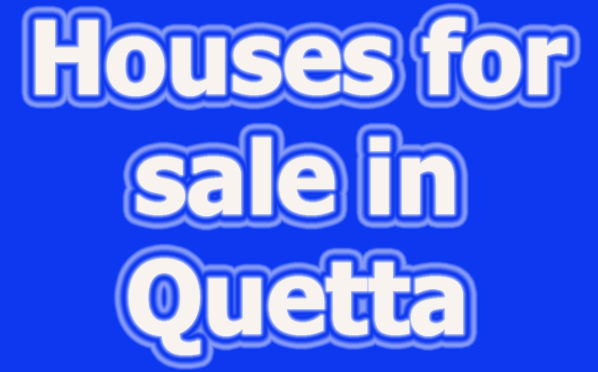 All of these houses are for sale in Quetta. House for sale in Quetta arbab town. 4 bedrooms attach. 2 halls. 2 floors. 1250 feet. 80 lac rupees. House for sale in Quetta samungli road. 1900 feet. 5 bedrooms with 1 guest room. price 1.2 crore rupees. House for sale in Quetta samungli road . 2200 feet. 6 bedrooms. price 1.4 crore. House for sale in Quetta near “chaman housing scheme”. 2700 feet. 9 bedrooms. 2 halls. 2 floors. 1.9 crore rupees. House for sale in “Quetta samungli road”. 1800 feet. 7 bedroom with attach bathrooms. 2 floors, 1 car parking. Price of the house is 2.2 crore rupees. House for sale in Quetta shahbaz town . 600 yards. 6 crore rupees. House for sale in Quetta jinnah town. 415 square yards. 7 bedrooms. two floors. 4.1 crore rupees. House for sale in Quetta behind Jinnah town. 5000 feet. Price 1.35 crore rupees.